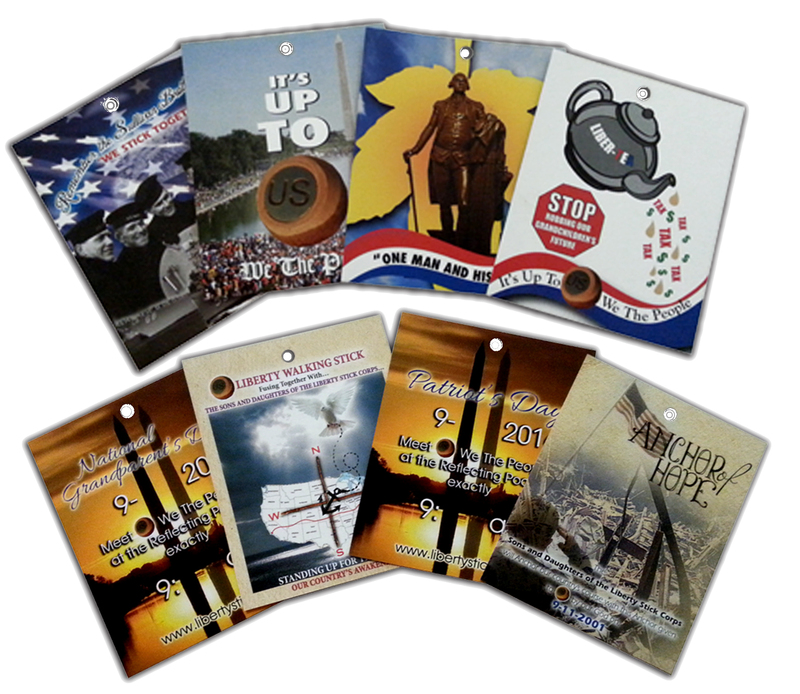 The US Liberty Stick has partnered with The Kaufman Fund which is a 501 C 3 Charity. 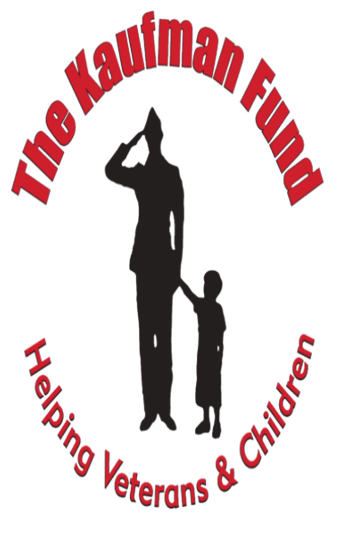 I personally know the President Wayne Kaufman, and his charity has given over one million dollars to help our Veterans and children in need since 1991. 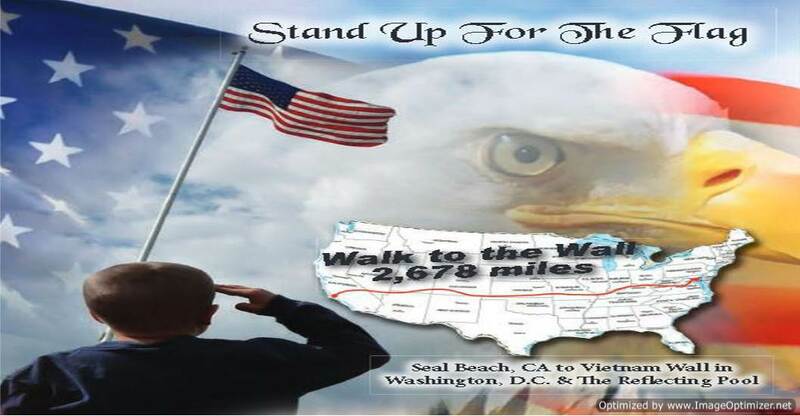 I ask this simple favor of you; donate whatever you can to this Charity, I am walking 2,678 miles for God,Country,and all branches of our Military. 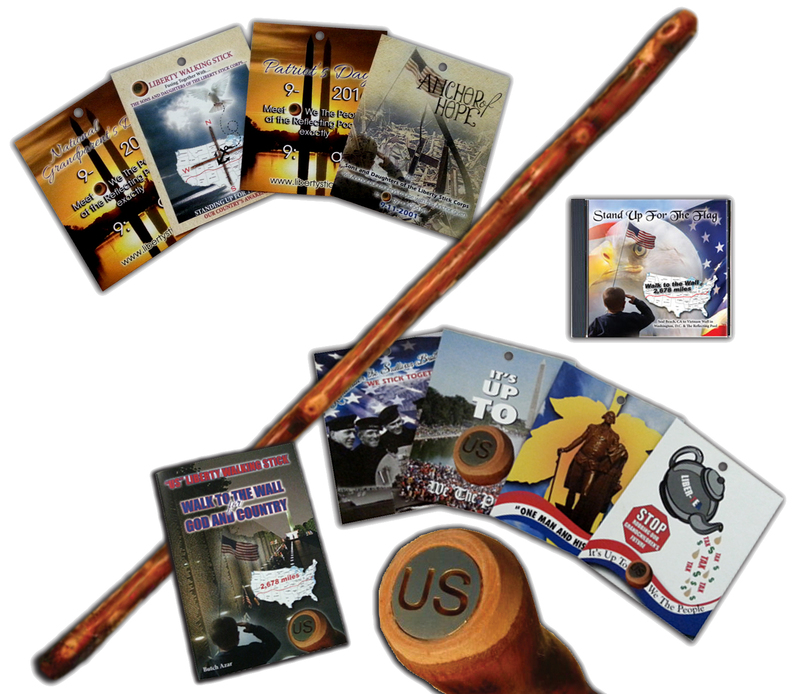 Thank you for believing in this cause, for every $50.00 purchase, you will receive the "US" Liberty Stick package below. 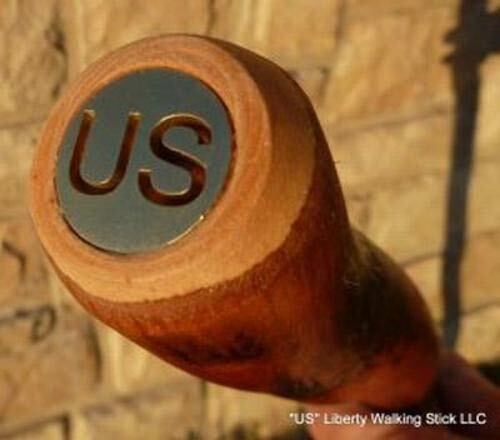 1)... One "US" Liberty Stick which has a brass laser"US" on top of the Hickory Walking Stick. This brass laser "US" symbolizes We the People. 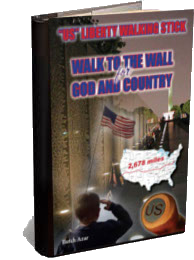 2)... One book titled "US" Liberty Walking Stick, Walk to the Wall for God and Country. 3)... One DVD song, Stand up for the Flag. This song is country and very moving. When you hear these words in the middle of the song.."if only words could heal my wounded purple heart' .... you will know why tears came down my face the first time I heard it. 4)...Seven colorful Restoring Honor Cards that hang off of the Liberty Stick... go to the Image Galleries on this site, scroll down to the Restoring Honor Cards and see all Seven. Ben Franklin the 7th generation grandson of our Founding father Benjamin Franklin and I are striving to make a difference for our country. We are going to do our part. Will you do yours? Hi my name is Butch Azar, and I am a 68 year old Grandfather, and I will be walking 2,678 miles with the "US" Liberty Stick in hand, from Seal Beach California to the Vietnam Wall, and the Reflecting Pool in Washington D.C.
We will arrive at the Wall at sunrise Grandparents Day 9/11/2016 on a Sunday that no one will ever forget. Grandparentsget your grandchildren, and your children, and meet our families together in a defining moment in time, when this great country of ours has a choice to make on 9/11/2016at 9:11 am. What will it be Socialism? or will it be Freedom? Grandparents this upcoming election is critical and We the People cant get it wrong! Ben Franklin and I say along with you, let "US" ring the Liberty Bell once again, and hear it resonate as it once did at the signing of our constitution, and let Freedom ring through out our land. Let "US" all remember the bible verse written on the Liberty Bell "Proclaim Liberty throughout all the land unto all the inhabitants thereof"
We are asking all Christian Churches, and all Synagogues to be here for prayer at exactly 9:11 am. We will go to God in prayer, and throw the Anchor of Hope symbolically to Him, and watch as HeAnchors our Course and turns this great country around to Him and Our Constitution. We are Americans 1st and foremost the colors we see are the Red, White and Blue. All of "US" We the People are here because God has ordained it so. Second Chronicles 7:14... instructs "US"... if My people who are called by My name will humble themselves,and pray and seek My face and turn from their wicked ways, then I will hear from heaven, and I will forgive their sin and heal their land. 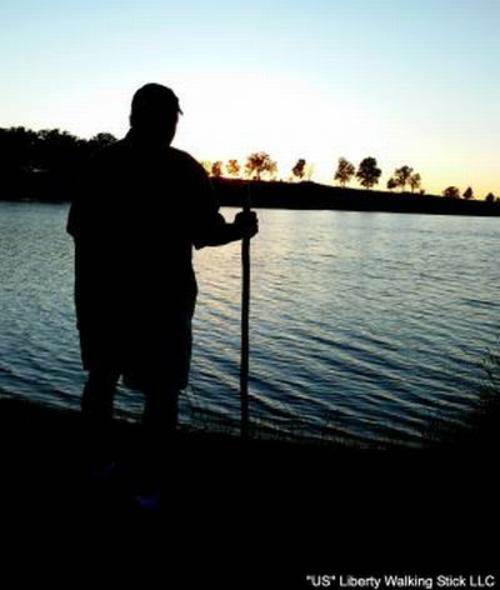 Second Chronicles 7:15...instructs "US"... Now My eyes will be open and My ears attentive to prayer made in this place. We must take our country back and abide by the principals of our founding fathers. We are here to heal this nation and anchor its course. We must turn our country around from the path that it is now on, so generations not yet born can follow in our footsteps. You can go to the Image Galleries on the site and see each card before you receive them. Hi My Name is Butch Azar, My Wife Patti And I Went To The Vietnam Wall and to the Restoring Honor Rally at the Reflecting Pool August 28th 2010. Glenn Beck Started Speaking. In His Speach He Mentioned "Moses" and "The Pharaoh", He Mentioned "The Stick Of Moses" And "The Power Of The Stick" Against The Most Powerful Man In The World At That Time Pharaoh! (The Goverment).